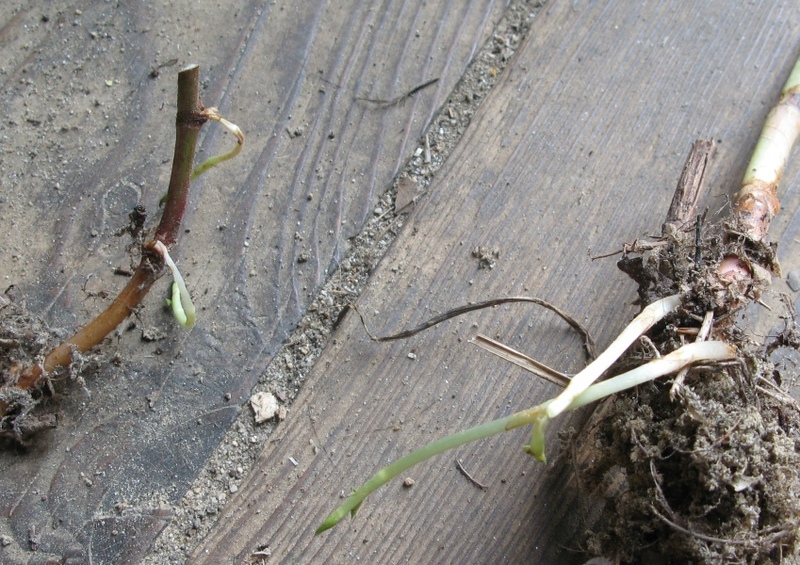 How tough is Japanese Knotweed? 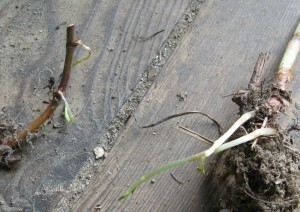 We have been battling a clump of knotweed on our property for years. This invasive plant is tough to kill, and is easily spread by pieces of plant tissue which can remain alive even under tough conditions. Here in New Hampshire there is a no-cut approach to containing the plant. You will see its dense green growth along the sides of many roads. The photos below show some plants we had pulled up over 2 weeks ago which have been sitting on the barn during warm, dry weather. Without water, the stems still are quite green and still have plenty of water in them. The roots show new sprouts despite the complete absence of moisture. 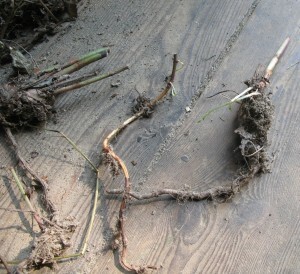 Looks like it could take a month or more before these stems and roots can safely go in the compost pile.